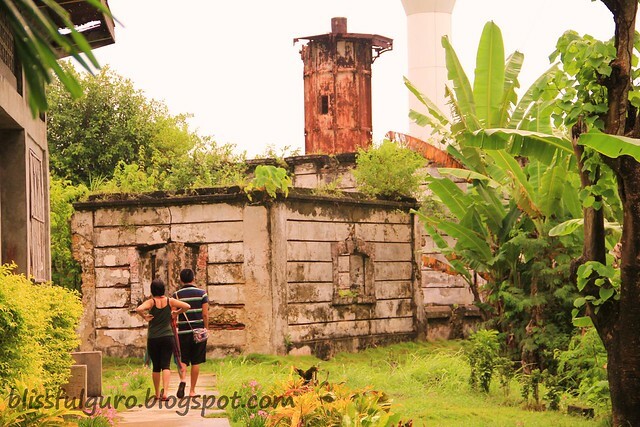 After our countryside tour in Guimaras,, we headed to our last stop-the Guisi Point Lighthouse. I keep on telling myself that this place should be worth all the hassles we had. And getting there was no joke. The road (it's raining at that time) was really rocky (and bumpy was an understatement.) Our driver/tour guide obviously knows how to go around the humongous rocks on the road. 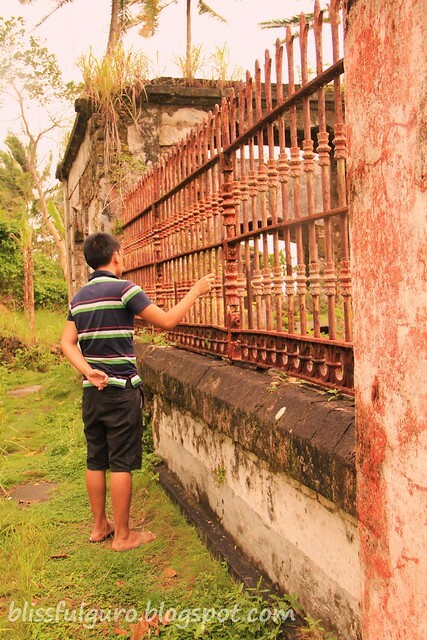 Kuya Gerald (09084748122) parked his tricycle and told us that we're going to trek up to the lighthouse. It was drizzling at that time. On our way to the famous lighthouse, we had a nice view of the Guisi beach and that got me excited because of it's somewhat deserted feel (maybe because it's stormy that time). We paid an entrance fee of 10 pesos and it's obvious that the caretaker knows Kuya Gerald very well because they chatted for a while. 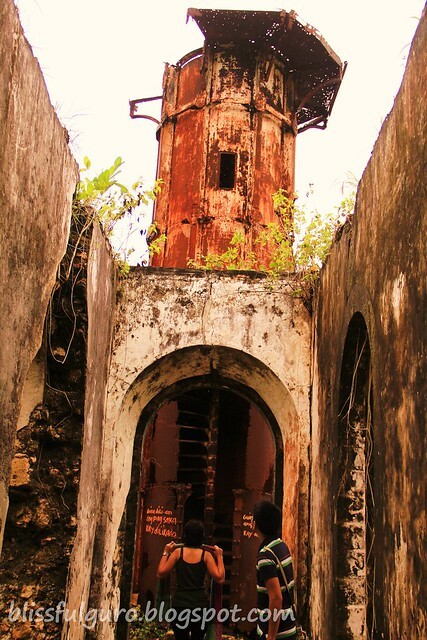 We entered and saw a man working alone in the new lighthouse that will be functional soon (we said hi to him). First thing I noticed was the markings on the old structure. 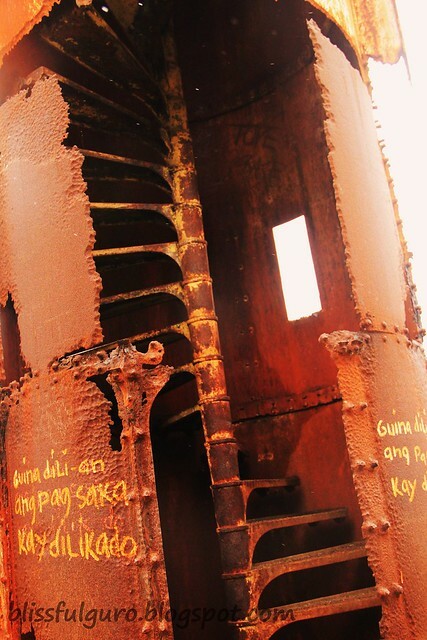 It's a warning for those who would dare to climb its rusty stairs up. 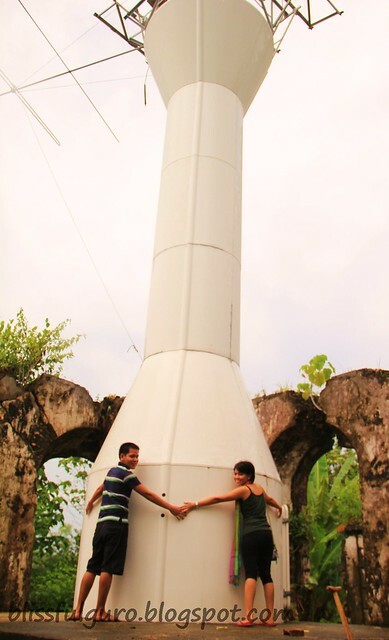 The lighthouse was built on the 18th century but now it's one of the famous tourist spots in Guimaras. A few meters away from the old lighthouse is the new one (where a man works alone a while ago). and i like your army green vietnam top! 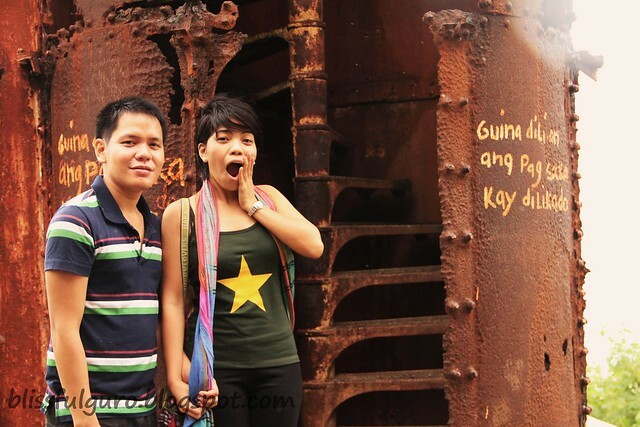 thanks chyng!nice noh?may red vietnam shirt ka din eh..miss mo na?tara long weekend oh?lesgow! Sana andyan pa sya kapag napadpad ako sa Guimaras. hi claire...siguro naman anjan pa yan if ever, go go guimaras na! reminds me of my western visayas backpacking trip. ang peaceful dito noh? korek james, hilltop tas beach sa baba...kalmang-kalma talaga! hi ada! astig talaga si gerald. umulan bumagyo walang uurungan na trip. hehe.